Nestle India Ltd’s September quarter results reveal a company in good form, whose strategy of focusing on volume growth has paid off. The cumulative effect of price hikes over a period of time, especially in dairy products, may have added to sales growth as well. In dairy, Nestle enjoys relatively better pricing power compared with the other categories. The company’s sales rose 20% year-on-year (y-o-y) to ₹ 1,963 crore, chiefly due to sales in the domestic market, which rose 20.7%. Its cost of goods sold rose by just 17.7%, leaving a healthy margin behind to take care of a 36% jump in employee costs (partly due to a base effect and timing differences). Other expenditure, which includes advertising costs, rose by just 14.2%. Thus, Nestle’s operating profit margins improved by 70 basis points (bps) over the year-ago period. One basis point is one-hundredth of a percentage point. Profit after tax rose 19.5%, lower than the 24.1% growth in operating profit, chiefly due to higher depreciation and effective income tax rates. The addition to fixed assets has resulted in higher depreciation; and its Pantnagar factory in Uttarakhand has exited the 100% tax exemption period, and is now eligible for a 30% exemption only. 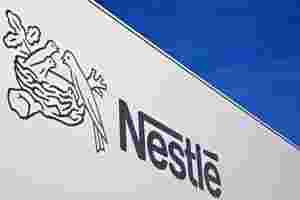 Nestle’s ability to sustain sales growth at around 20% levels is commendable, given that it has a high base to contend with; sales increased by 25.7% in the September 2010 quarter. Its timely expansion of capacities gives it room to leverage volume growth to propel sales growth, execute new product launches and support an expansion in distribution. The company’s results over the past few quarters suggest it has crossed the point where costs were rising ahead of sales growth. That is positive, both for profitability and for growth in profits. The base effect of the tax holiday will disappear from the December quarter, and net profit growth is likely to turn healthier as a result. Nestle’s valuations at about 45 times its annualized 2011 earnings per share (EPS), and 36 times its estimated 2012 EPS based on Reuters’ consensus estimates, makes it a relatively expensive stock. But this is not a new development. Its sales growth strategy is working, and inflation’s effect on its profitability is ebbing. The going is good for Nestle.